We’re in contact with products or applications that have graphics almost every single day. From the t-shirts that we wear to the tote bags that we carry around when we grocery shop, its surface went through a dye sublimation printing method. The sublimation printing process is extremely common when printing items in full color that’ll last. While print processes have changed throughout time, digital printing with sublimation ink remains one of the most popular ways to print onto various substrates. What is sublimation printing, you may ask? Learn all about the artistry that is sublimation printing in this complete guide. 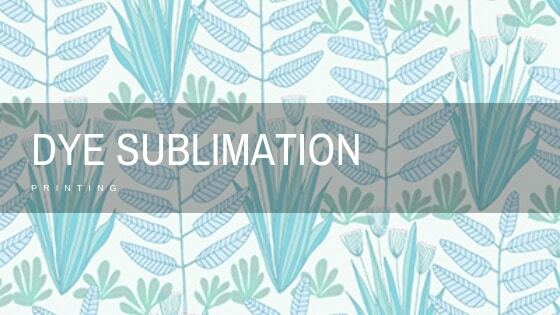 You may wonder what is sublimation printing exactly? Well, sublimation printing first starts with two very integral components: sublimation dye ink and a sublimation printer. Without either one of these things, sublimation printing isn’t possible. Sublimation printing occurs when the ink converts through heat transfer going directly from a solid to a gas state. Sublimation itself is very scientific when that by going from solid to gas, it doesn’t require transforming into liquid in between its journey. Heat pressed into a substrate with the help of transfer paper, special ink properly seals through the process of sublimation. So, what is sublimation printing? 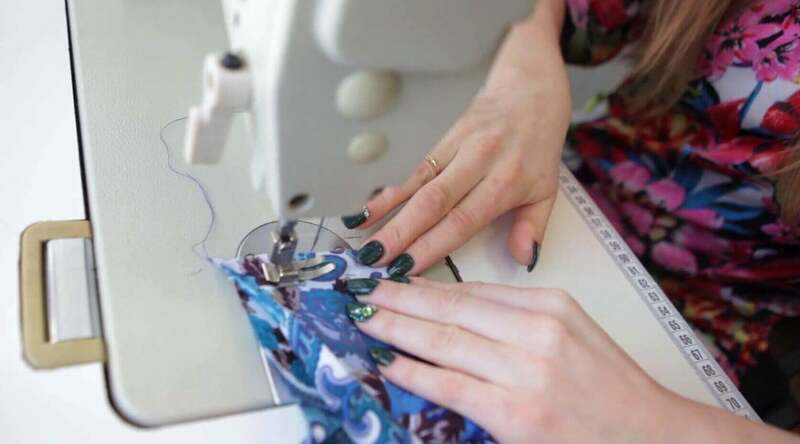 Locking in colors into fabric or other materials was once an extremely difficult process. When the digital printing era came to fruition however, sublimation printing became possible. When something prints with the help of sublimation, the dyes lock within the substrate instead of sitting on the surface. For example, let’s take mouse pads or a coffee mug that has graphics. When using sublimation printing, the digital printer will print using special sublimation ink onto a transfer sheet. From there, the transfer sheet presses against the substrate (mug or mouse pad) with the help of a heat press that holds a temperature between 380 to 420 degrees Fahrenheit. After the transfer onto the substrate, a specially coated protective layer ends the sublimation process. In the end, you have with a product that contains vivid coloring that’ll outlast traditional printing methods. When we think of printing methods in the textile world, there are six traditional printing methods for printing onto fabric. Fabric patterns form distinct images in our mind when we see them. We can relate these patterns back to their methods of printing. Created in the 18th century, machine printing with the use of color rollers was innovative for its time. It lead to the mass production of printed fabric. One of the earliest forms of fabric printing methods was hand block printing. With a carved design on a wooden block, ink dipped onto the block and pressed into the fabric was responsible for this method of textile printing. An elevated form of hand block printing, perrotine printing utilized wooden blocks also. This version of textile printing attempted to automate the manual process of hand block printing. The same method used in hand block printing with a different substrate. Copperplate printing utilized copper that carried etched designs over its surface. Apart from digital printing, screen printing is one of the most commonly used textile printing techniques today. A squeegee pushes ink through a screen to print onto fabric in this method. Known as direct-to-garment (DTG) printing, this process uses sublimation techniques to appear onto fabric. Sublimation printing is a subset of digital printing. As mentioned, silkscreen printing largely used today stands alongside sublimation printing. Where sublimation printing merges science with technology, screen printing uses manual formats to print onto fabric. While technology helped the silkscreen process become more automated, but most applications still require manual intervention. Sublimation printing vs. silkscreen printing has one giant difference: how the ink settles into a substrate. Using a shirt as an example, when silkscreened, the ink lies on top of the shirt’s fibers. Sublimation printing bonds the ink within the textile’s fibers, weaving them into the fabric as one. That’s why many agree that sublimation printing stands the test of time over screen printing. When something goes through a sublimation process and handles normal wear and tear, coloring remains vivid. Screen printed items become faded over time as dyes aren’t bonded within the substrate. 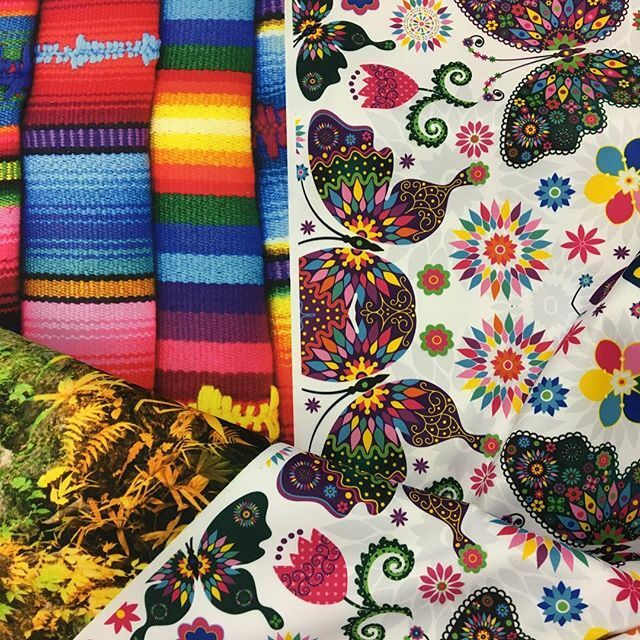 The market for printing onto fabric embraces sublimation printing for this very reason. When you have a graphic you’ll want printed onto a banner or display, the sublimation process allows your printed product to go through use time and time again. Garments: From jackets to shirts, most fabrics work best with sublimation printing. No matter the design, you’ll make your fashionable mark with the help of this style of printing. Bags: Make your luggage stand out while you travel with sublimation printing. Bags with exceptional patterns make for unique applications. Blankets: Have custom prints on your blankets through sublimation printing techniques. Whether it’s a small amount or a large amount of printing, your design is the star while you keep yourself cozy. No matter the fabric, each product will yield an amazing custom print with the assistance of sublimation printing. Other substrates like plastic, ceramic, and metal allow for sublimation printing techniques as well. That means things like mobile phone cases, tiles, or even plaques can treat their applications to custom printing. What is sublimation printing in large format? Large format sublimation printing works best for commercial use. If you’re spending time at a trade show, you’ll want to show your prospective clientele what your business is all about. Using sublimation printing services for products that highlight your brand work well. Luckily, Canvas ETC covers all your digital printing needs. We understand how important creating an identity for your brand is when you’re marketing your business. We’re available for printing the products you’ll require for your next big trade show or company event. Canvas ETC’s one-stop shop helps you successfully obtain your items for any number of occasions. From corporate job fairs to retail pop-up booths, we’re available for all things surrounding printing. Our supreme collection of 100 polyester, polyester fabrics and other textiles keep you compliant while helping your business shine. Finding a supplier like Canvas ETC takes the necessity of dealing with several vendors to handle all your printing needs. From concept to creation, our experts are here to help guide you through the entire process. Contact us today and we’ll get your custom printing work ready for you with ease.